It seems as if this is the week for some good co-op deals. Major Nelson posted on his site that this week's "Deal of The Week" includes not one, but two (!) 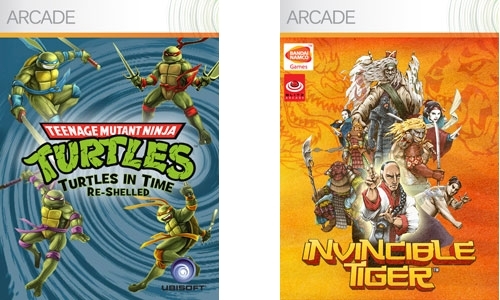 co-op titles - TMNT: Turtles in Time Re-Shelled and Invincible Tiger: The Legend of Han Tao. Turtles in Time will run you just 400 Microsoft points, while Invincible Tiger will be a little more at 800. We took a shine to the co-op experience in both games, and both can be enjoyed locally and/or on-line with friends. So if you're in the market for a couple of fun, digital co-op titles that won't break your Microsoft space bucks bank, then hop on your 360 and give them a spin. Invincible Tiger Sweepstakes - Enter To Win a 60" TV!